Bul Go Kee: thinly sliced beef that's marinated and grilled with vegetables. Yum! Our customer love our Pot stickers! It's nothing new, but our customers have been loving the Hot and Spicy Mongolian Beef today! "You are never too old to set another goal or to dream a new dream..."
May I have some water? : [mool joo seh yo]. "Each morning when I open my eyes I say to myself: I, not the events, have the power to make me happy or unhappy. I can choose which it shall be. Yesterday is dead, tomorrow hasn't arrived yet. I have just one day, today, and I'm going to be happy in it." Garlic Chicken...Only $7.99 this week! We are so excited to introduce our latest creation, the "Tri-Box". It includes a dish of your choice (excluding Tempura), rice, salad, pot stickers, and a side dish, all for only $13.99! For those of you who like a little variety, this is perfect for you! We are launching this tomorrow, Friday the 22nd, so come on by! Drove all the way from Walla Walla to have lunch here at Tri-Teriyaki! They had the Korean Dish of the Day: Bi Bim Bap, and loved it! Our customers are the best!!! We'll be open from 11am-8pm so make sure to drop by! Welcome to our new website. 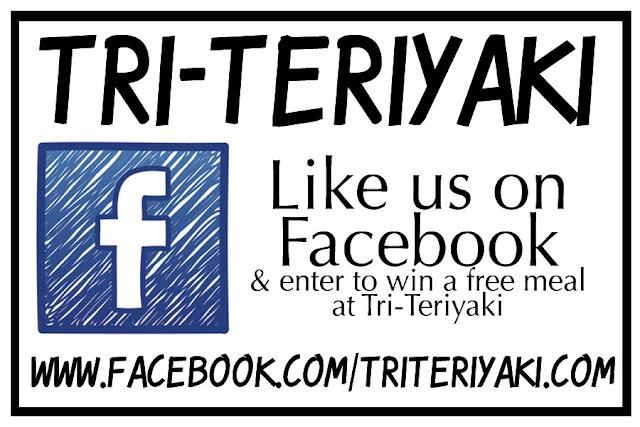 We are working on creating an amazing blog for Tri- Teriyaki. Check back often to see our new menu items, deals & more. Stop by weekdays for our delicious Teriyaki Lunch Special!